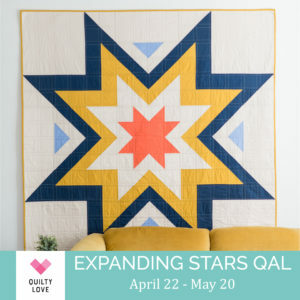 Next up is Hexie Rows baby quilt! 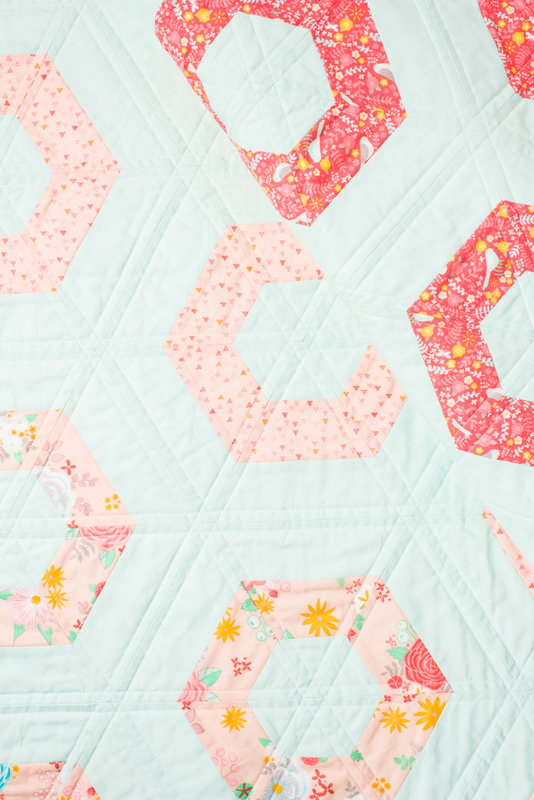 See the rest of the baby quilts for this project here. 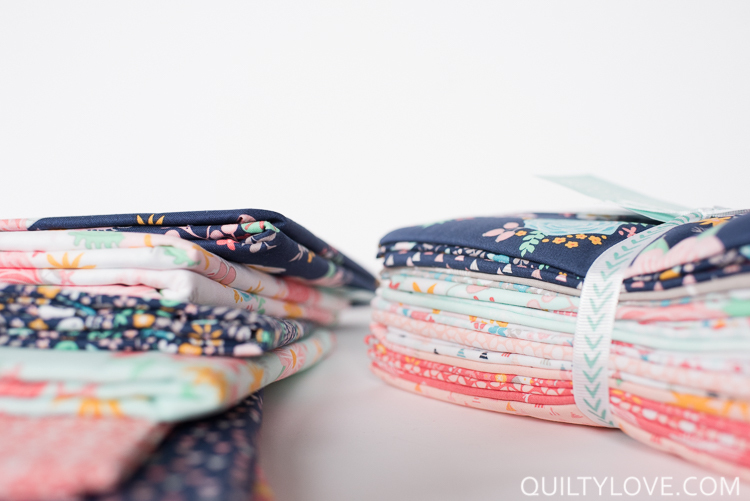 Craftsy provided all of the fabric for these baby quilts. This is the Dreamfield line. So pretty! 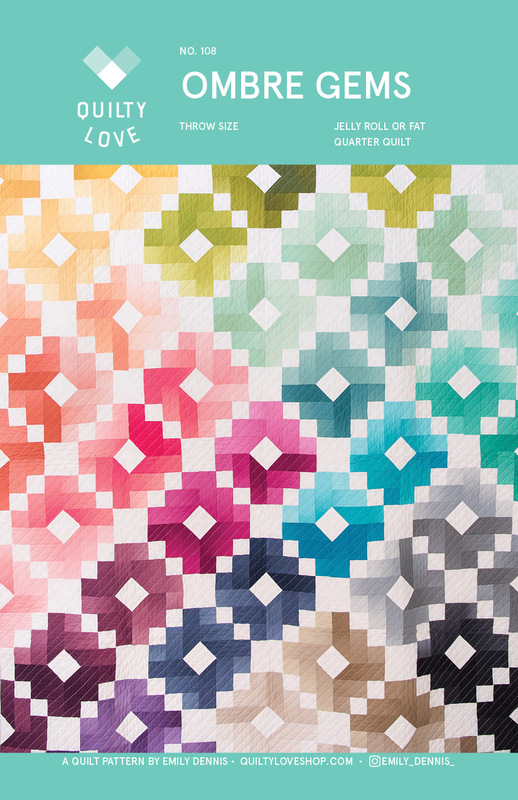 You can find Hexie Rows in the Quilty Love Pattern Shop. 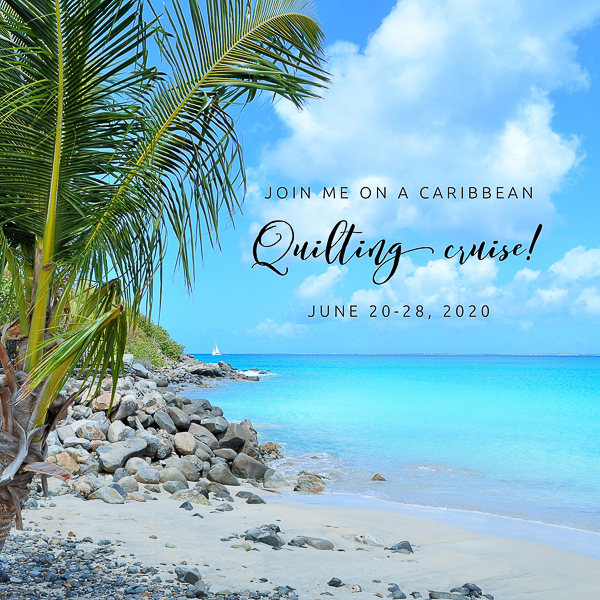 As I was making these quilts I kept tossing around charity ideas in my head. The perfect opportunity presented itself through Reece’s rainbow. I wrote this blog post about the charity auction I held. This auction raised over $1400 for Angelina’s adoption fund! The most amazing news though is the fact that Angelina was matched up with a family during the Reece’s Rainbow Christmas drive. Donate to help Angelina’s family bring here home here. 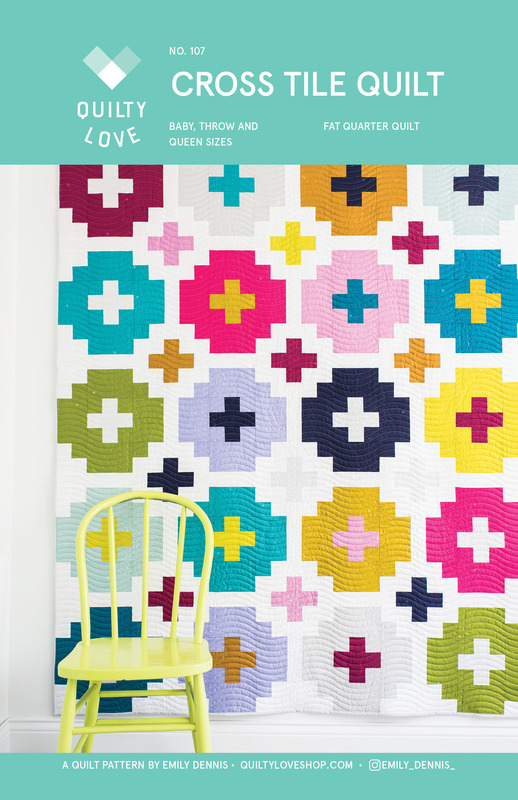 Hexie Rows is a fast and easy quilt pattern that can be arranged as a gradient or not. I’ve arranged this baby quilt as a gradient of lighter colors to darker colors. 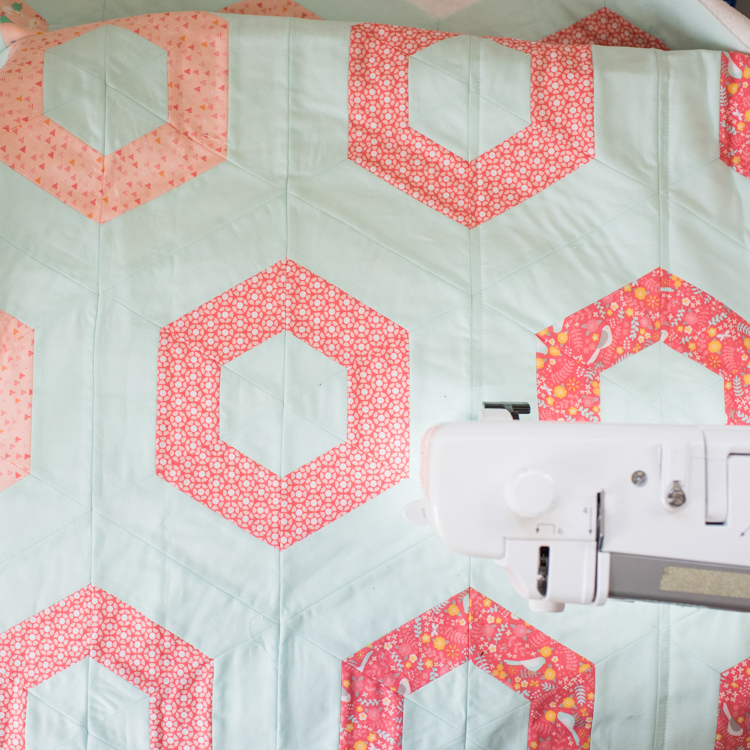 This Hexie Rows baby quilt is quilted up along each seam using a walking foot. 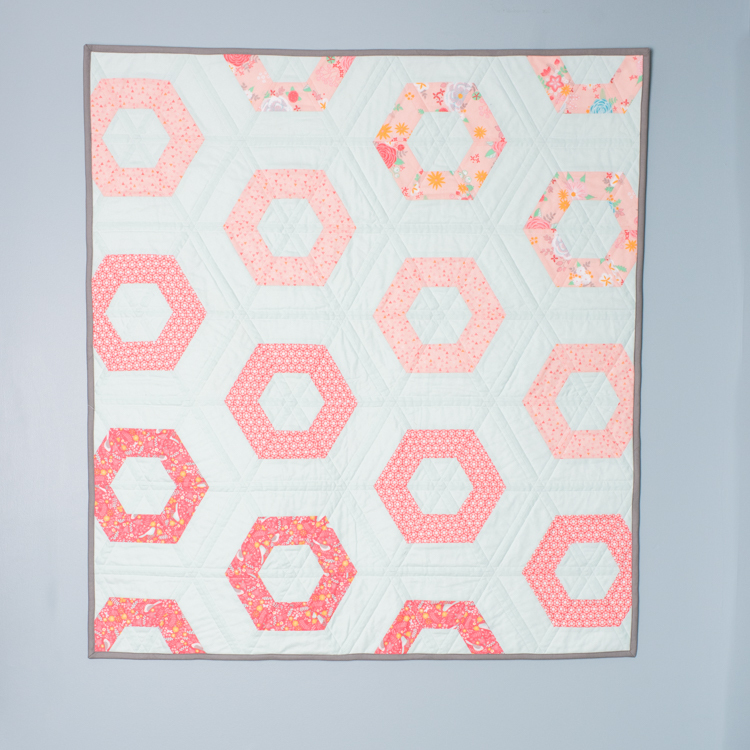 Hexie Rows quilt pattern comes in baby size, throw size and queen size. 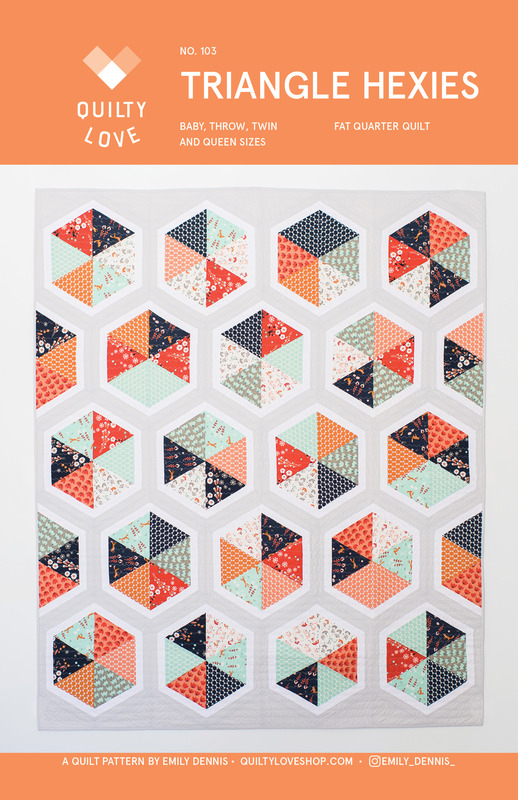 A 60 degree triangle ruler like this one is recommended for this quilt pattern. 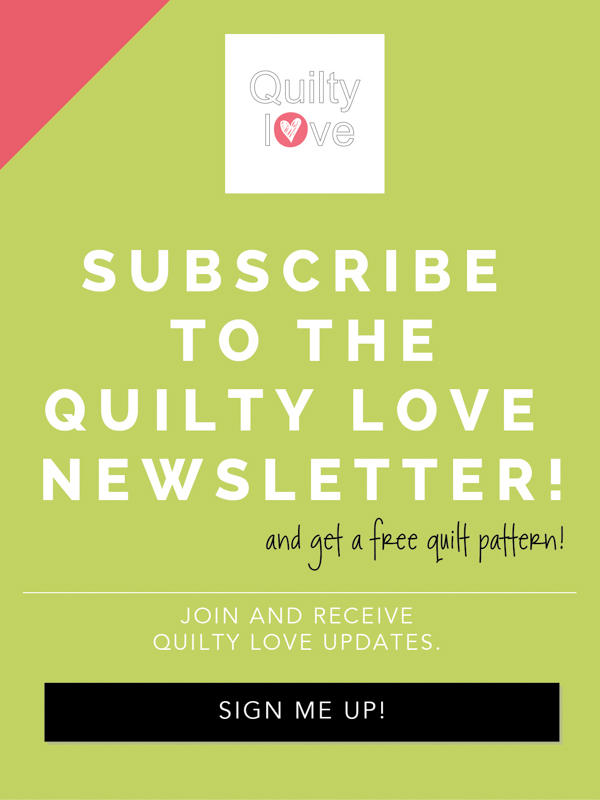 I think you will like how fast and easy this quilt goes together with some strip piecing shortcuts. 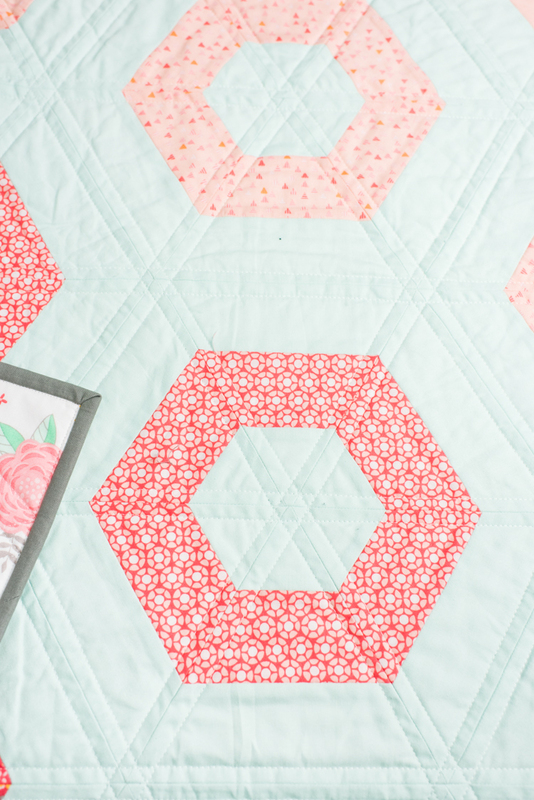 Make up a Hexie Rows baby quilt like this one in no time! 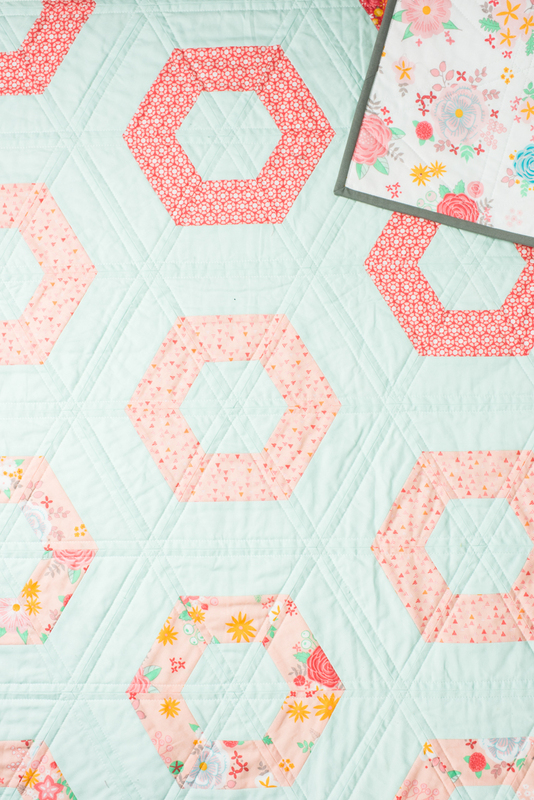 I used a fresh aqua color as the background for this Hexie Rows baby quilt instead of my usual white! 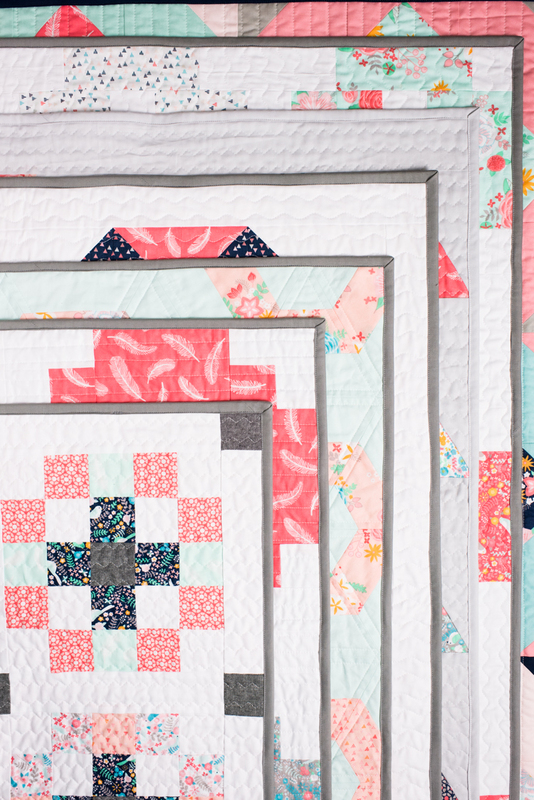 I like how the aqua and corals go together in this quilt. 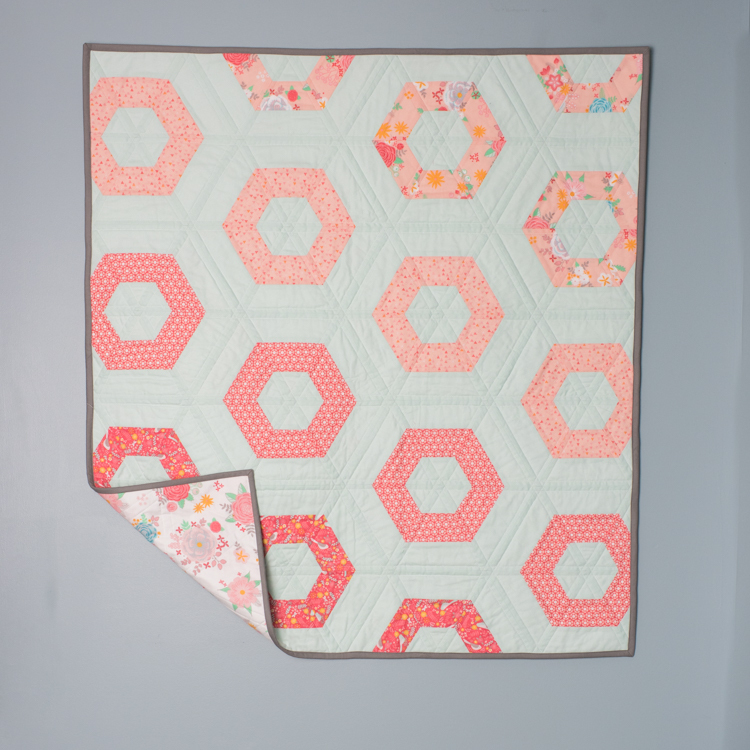 It is backed with a pretty floral from the Dreamfield fabric line. 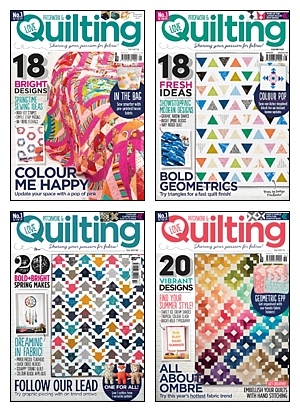 You can find Hexie Rows in the Quiltylove pattern shop. 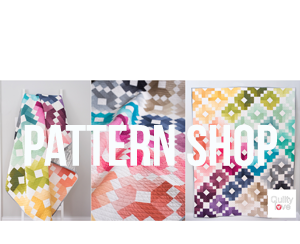 I am having trouble getting into your shop for the Hexie pattern. Just curious if it’s my computer or if others are also having the issue?